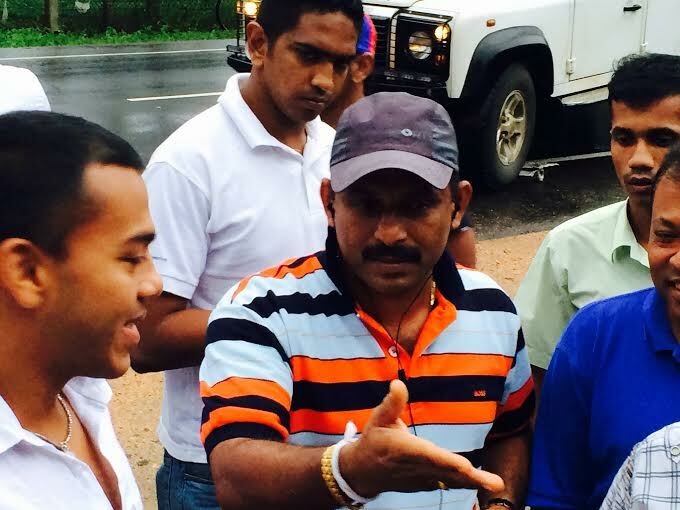 (Lanka-e-News -22.Dec.2015, 8.00PM) Many photographs of Yoshitha Rajapakse with Tissa the hired assassin of Rajapakses and driver of Mahinda Rajapakse who goes by many names – Tissa , Captain Tissa , Major Tissa , Podi Tissa and so forth , are now in the possession of Lanka e news . We have herein published two of them. It is by now well known that Tissa the hired assassin of Rajapakse was responsible for over ten murders including those of Thajudeen and two University students . He was also behind the attacks launched on judge Manjula Thilakawardena , Mervyn Silva’s son and abduction attempt , as well as many other crimes.